Our pool is the perfect place to cool off while enjoying our spectacular surroundings. 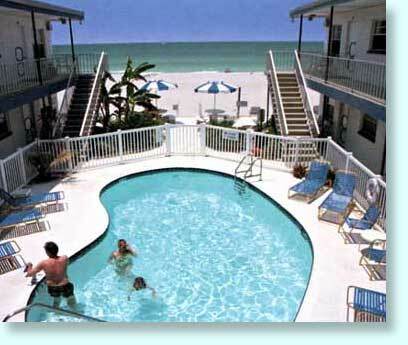 If you prefer the beach, we are located directly on beautiful Indian Rocks Beach. from the balcony. 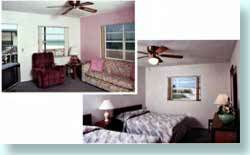 5 to 7 night stay minimums depending on season. Please call for rates. 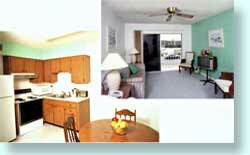 Our one-bedroom apartments have fully equipped kitchens, spacious living rooms, comfortable bedrooms and full baths. The Great Heron Inn is located in a natural paradise, directly on Some of Florida's cleanest beaches, perfect for shelling and strolling. 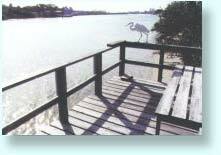 We also have a wonderful dock on the Inland Coastal Waterway for fishing or just to sit and enjoy nature.